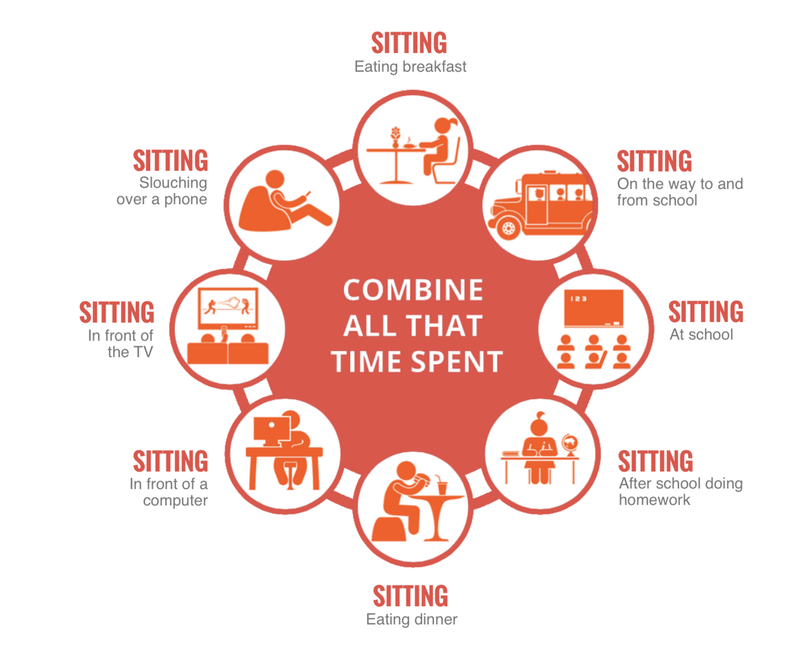 Do you find yourself sitting most of the day? Chances are you do, whether it is at work or school, watching screens on a smartphone or tablet, or while travelling. Our sedentary lifestyle is causing problems for both our bodies and our minds. According to Dr James Levine of the Mayo Clinic, ‘sitting is more dangerous than smoking‘. the World Health Organization ranks physical inactivity as the fourth biggest preventable killer globally? Either of those points should make you pause for thought. 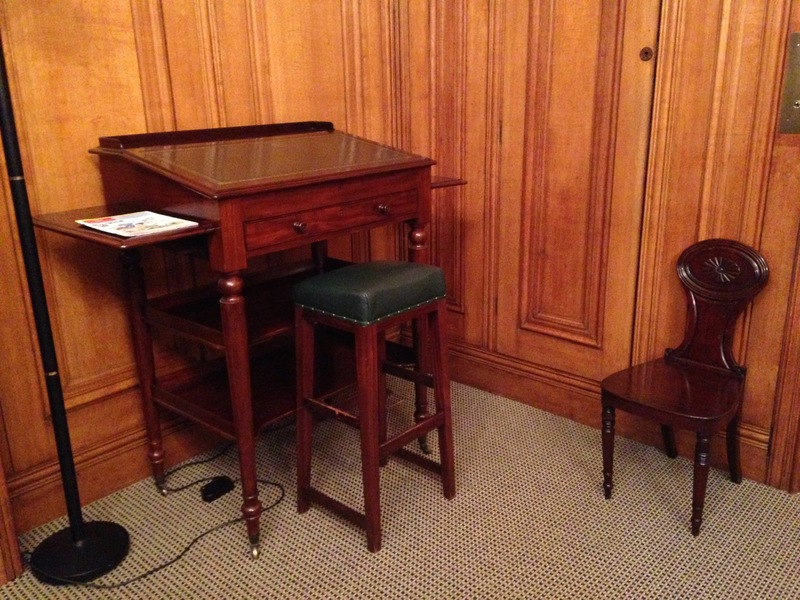 I’d like to offer a remedy for today’s knowledge workers – the standing desk. 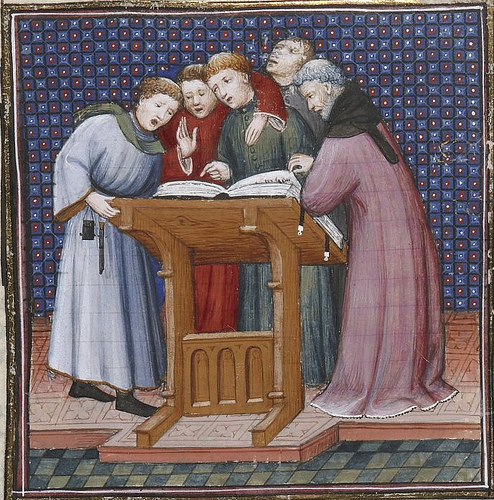 Standing desks are not new. 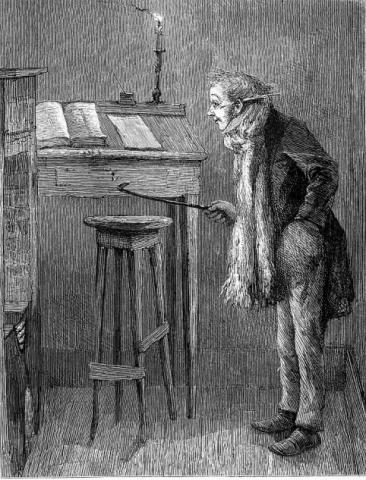 Standing desks or lecterns have been around for centuries, seen here in the Middle Ages; Bob Cratchit working away at his desk in Charles Dickens’ book, ‘A Christmas Carol’; and an antique standing desk in an office today. Yet it is only in the past century that people have changed their habits so radically that we now spend most of our time sitting down. For over a decade, the UK’s Government Property Unit (GPU) has been looking a new ways of working, primarily aimed at modernizing the UK civil service as well as influencing governments and organizations around the globe. 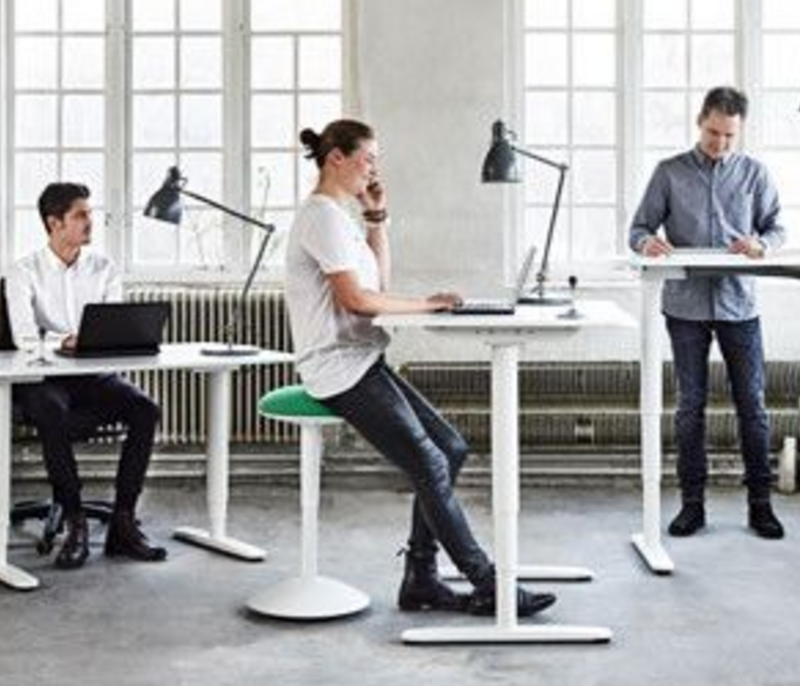 GPU often use their own staff to test alternatives such as standing desks and it was while working as part of this team that I first tried working standing up. At first it felt odd to work standing up while using my laptop, but gradually I got the hang of it, as did many of my colleagues. I liked it so much so that I now use a standing desk at home. I find it a joy to work at and not in the least bit tiring; on the contrary, it is energizing. I automatically move more frequently than if I were to sit at a desk. When I first bought my desk, I decided to wait before buying a chair or stool. After a week I decided the desk worked best alone, without any chair or stool. This was a relief as I didn’t have to choose which type of office chair might be best for my body. So what’s in it for you, you might ask. In my role as knowledge manager, I was often commended for my habit of getting up from my desk to go to talk to people face to face rather than use the telephone or email. It was noted that few others did this. I did it because it proved effective in building relationships and establishing trust. It also shows me that I like to move about during the working day. 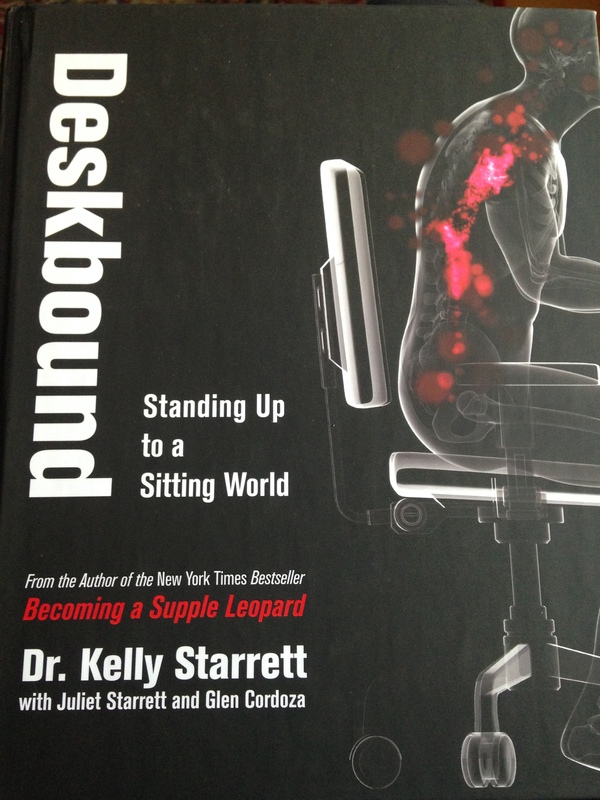 Kelly Starrett (@mobilitywod) is the author of Deskbound – Standing up to a Sitting World (Victory Belt Publishing 2016). This book is your guide to using the standing desk. I highly recommend it. Section 4 covers how to set up and use your standing workstation. I like that as it is written from the standpoint of a physical therapist professional, rather than an office space professional. Kelly not only explains the problems created by sitting, his book also offers exercises to improve one’s posture, and prescriptions for the various aches and pains that come from a lifetime of sitting down. This book alone should prove a lot cheaper than periodic visits to your chiropractor. Don’t just take my word for it. Listen to Kelly himself explain why you should make standing up your default behaviour.